The team at DPSN has made the difficult decision that 2018 is our final year of maintaining the blog and Facebook page. Although we here at Diversity NZ are sad to let them go, we also feel like we’ve achieved what we set out to do over the time that we’ve been running – to stimulate conversations about diversity, creativity and social change. We’ve realised that there are new and exciting projects that are taking precedence, our lives and situations have changed, and we recognise it’s not wise to stretch ourselves too thin. Overall we’d rather see DPSN finish on a high note – at the peak of its success! We’d like to pass on a huge thank you first and foremost to everyone who has contributed to the blog and our other projects over the years – special thanks to Nikki Frittmann who has been our longest and most regular guest blogger, for all of her awesome work. Also, a huge thanks to our DPSN audience for reading, sharing and commenting online – we wouldn’t exist without you. Our hope is that our little project has inspired you to share, connect and start a conversation – to create your own networks and keep the discussion going. Learning: I’m learning that staying connected is important – whether it’s connection to myself, to my communities, to my values, or to my world(s). It’s hard work, and it can be painful, I’m learning that staying connected helps me learn and grow. Tip: Frankie said it, but I’m (trying) to say it to myself – RELAX. Learning: I’ve learned that communication is key – that it’s important to be honest about how I’m feeling and what I need. It can be hard to be vulnerable and put it all out there, especially if you are having a hard time, but it’s also the best way to get help and support from others. Tip: Christmas can be stressful! Remember to be at least as kind to yourself as you would to others. Learning: Love is unlimited, if you let it be. Life is always limited. Tip: Drink in moderation, this way you can drink more tomorrow! And laugh lots! Learning: Life is not short – it’s often long. But it goes bloody fast. Tip: If you need a break from Christmas and Boxing Days, come visit Caleb (my pooch) and me and celebrate our birthdays (mine is on the 25th and Caleb’s on the 26th)! 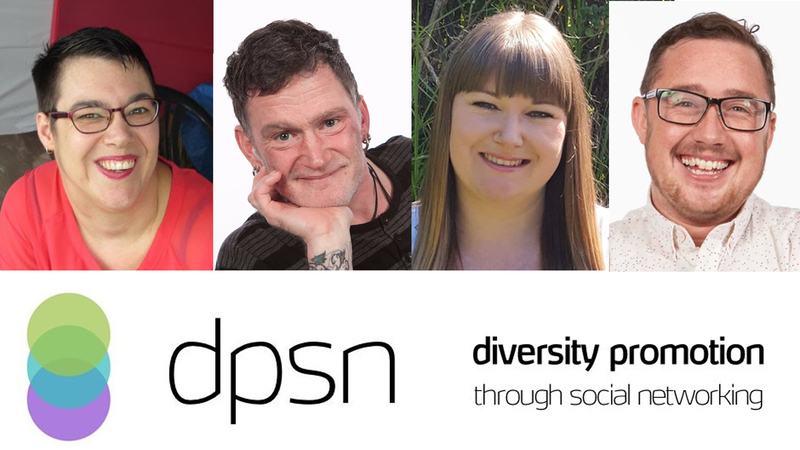 We’ll still be around at diversitynz.com and of course the blog will remain up for you to continue to read and share all of the content we’ve posted here. We hope you have a wonderful and restful holiday season. Be safe, take care, and see you around!